I have a 3M gel pad wrist rest that is pretty convenient and (obviously) movable on your desk. The material covering whatever padding/foam they use is pulled very tight and the stitching covers the top and the goes through to perforate to the underside! 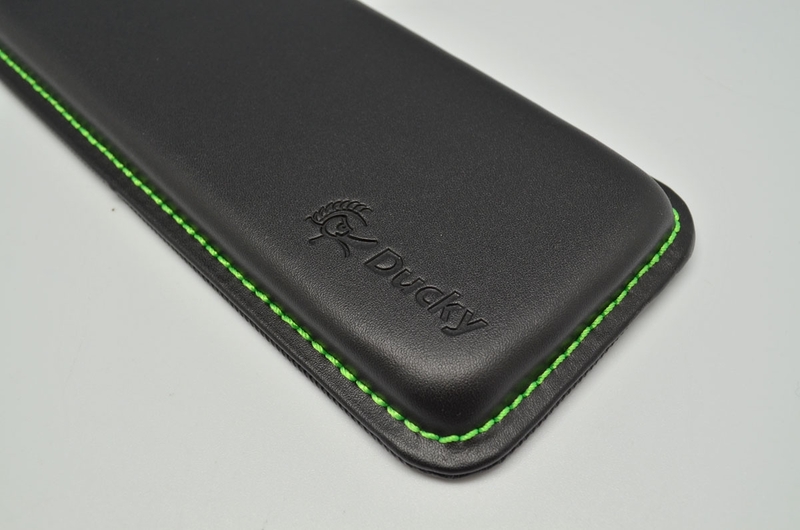 Just another quality product from Ducky. The only things missing from this design are an underside that grips your desk with a "deathgrip" and doesn't move. and also a wrist rest that is super long that would be able to position in front of your mousepad. I'm not sure any rests exist that cover that 2nd point though or if it even matters.